You and your children represent the core foundation of this club. You are the building blocks that will help Rhythmic Academy become a world class training facility. The following are the rules, policies and philosophies of Rhythmic Academy. Please read the information carefully to ensure that you and your child understand them completely. Rhythmic Gymnastics is inherently a competitive sport and we are a competitive gymnastics team. We measure our success and progress by how we portray ourselves and execute on the practice and competition floor. While winning is not the most important part of gymnastics, trying to win represents much of what we strive for. Trying to win means that you do your best to attend every scheduled practice and that you train hard while you are here. It also means that you respect all your coaches and teammates, you overcome fear and keep a positive attitude through every obstacle. Trying to win is an attitude that must be displayed by every Rhythmic Academy athlete. The way you act during practice and at competitions is a reflection of your respect for yourself, your teammates and Rhythmic Academy. Only the highest standard of behavior will be acceptable. Rhythmic Academy is a professional organization. Any off-colored comments, foul language or inappropriate dress in the facility will not be tolerated. Each team member should show the utmost respect and support for your coaches, teammates, judges as well as other gymnasts. Discouraging remarks (whether directed towards self, a coach or another gymnast), excluding others from activities, etc. are grounds for dismissal from practice and possibly from the team. Carry out all assignments and conditioning to the fullest. Cheating on assignments and/or conditioning will not be tolerated. Demonstrate the highest regard for our sport and your hard work by arriving to all workouts and competitions on time and conducting yourself with grace and courage during the workout or competition. Accept all constructive criticism and scores in a positive manner, since we know that we learn just as much from our mistakes as we learn from our successes. Understand that the specific mission of Rhythmic Academy is to develop happy, healthy and confident young people. One way in which we can help meet this demanding goal, is to place the gymnasts at the level where they can be happy, safe and confident. Mobility through the levels (moving up) can only be achieved when a high level of proficiency has been demonstrated at your current level, and the potential for a high level of proficiency in the next level is apparent. This means that a gymnast is never declared having moved to the next level until ALL of the requirements for that level have been achieved. Never compare your progress, performances or level with other gymnasts. Each athlete is an individual and will achieve success at her own pace. Place emphasis on individual success and improvements, not on what place you come in. Call the gym for all absences from scheduled workouts and speak to one of your coaches or Team Director. Understand and uphold your responsibility to the Booster club and its fundraisers (raffles). 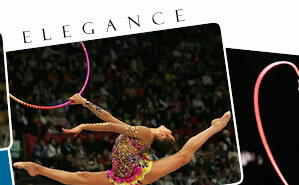 All Rhythmic Academy members should attend every practice dressed in our team training uniform. Also acceptable is solid black leotards, shorts or leggings and fitted t-shirts or tank tops. No oversize clothing will be permitted in the gym! Girls may wear gymnastic toe shoes. Hair must be pulled back from the face in a ballet bun, short ponytail and tight braid. Please leave all jewelry at home. A gymnast’s parents are an instrumental contributor to her success and happiness. Tuition and meet fees must be paid on time and a commitment to transport your daughter to and from workouts, competitions and team functions must be made. In addition and equally important, parents must help instill the work ethic, values and nutritional knowledge into their child necessary to be successful. Please feel free to set up a meeting with any of your child’s coaches if you have a question or concern. Your thoughts are important to us. If we cannot help you, we will try to explain why and will work hard to find another way to rectify the situation. Meetings should be scheduled through your child’s coach for either before or after workout hours. At no time will parents be allowed on the training floor during workout hours to address questions or concerns. When questions or concerns do arise, please understand that complaining to other parents cannot solve your problems. In addition, problems cannot be solved if we do not know about them. If you respect us enough to allow us to play a large role in your child’s life, please respect us enough to know that we have your child’s best interest at heart. Meaning, that decisions that are made in regards to your child’s training, level and group are made in what we as gymnastics professionals feel will best help your child to be happy, healthy and successful. Parents who consistently complain or show signs of disrespect for others, will be asked to remove themselves from the viewing area and possibly not be allowed to attend practices and/or possible removal of your child from the Rhythmic Academy team program. Understand that your child’s skill and performance level determines the level that she is in. There are requirements set forth by USA Gymnastics for mobility through the levels. At no time will a gymnast be moved to the next level without meeting ALL of these requirements. If you are unsure of which requirements your child is missing for mobility into the next level, ask them, they are usually very aware. Understand that all competitions, clinics and camps chosen by the Rhythmic Academy team staff are mandatory events unless otherwise stated. Parents and gymnasts do not get to pick and choose which events to attend. Parents may not distract or try to communicate with their gymnast once the workout has started. We ask them to focus all their energy on the workout and we want as few distractions as possible. Once the workout has concluded they will come to see you. No exceptions will be made without prior approval from your child’s coach. Injured gymnasts and or gymnasts with minor illnesses are expected to participate in workouts and gym activities to the highest possible extent (NO EXCEPTIONS). It is often possible to work around injuries and/or minor illnesses to turn a difficult situation into something positive. Increased work on flexibility, strength, specific events and specific skills can be expected. Parents are to try to the best of their ability to be a positive force in their child’s gymnastic development. Try not to compare your child to another when it comes to training, improvements or level. Often times in gymnastics, athletes are competing against gymnasts that are older and more experienced, and to gauge your child’s success compared to these other athletes is the wrong approach. Each child progresses at her own rate and this must be recognized and respected by parents. Parents should have a clear definition of what winning is. Winning should be defined as your child’s “personal best” not “being better than everyone else”. Make only positive comments after competition and focus on your child’s individual development, efforts and improvements, not what place she is awarded. Make sure that you or your daughter calls the gym for all absences from scheduled workouts. When calling in absences, please leave a message with the team director or on your child’s coach’s voice mail. Understand that the Rhythmic Academy coaching staff is very loyal to each and every team member and that they work very hard at making these children the best gymnast that they can. Because of the hard work and dedication of our staff, if a team gymnast leaves Rhythmic Academy for whatever reason to attend another similar facility, there will be a 1 year (12 month) waiting period from the day the child dropped from Rhythmic Academy, before the child can return. Please note that it is not guaranteed that your child will be allowed back in the competitive program once they have returned. Understand that talking negatively to other parents about our program or coaches in our lobby/observation area will not be tolerated! If you are overheard talking negatively you will be warned once. If the problem persists, you will no longer be allowed in our lobby/observation area. If you have concerns that warrant conversation, please voice them with the team director, not the other parents in the gym. Athlete team assignments and level mobility will be determined by the club director with consultation of all the team coaches. At conclusion of the season we will review each athlete gymnastic progress and competition performance throughout the season to determine if the athlete is ready to move up to the next level. Mobility through the levels can only be achieved when a high level of proficiency has been demonstrated at the gymnast current level, and the potential for a high level of proficiency in the next level is apparent. This means that a gymnast is never declared having moved to the next level until ALL the requirements for that level have been achieved. Mobility to level 10 requires participation and level 10 qualification at the US National Qualifiers. 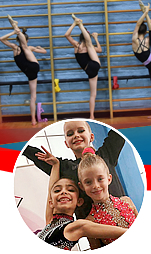 Participation in our Summer Camp Intensive will help reinforce the gymnast foundation and greatly broaden the necessary skills for the next level, we highly recommend full summer camp participation to all competitive gymnast. The ultimate goal of Rhythmic Academy is to develop elite competitive Rhythmic Gymnast, we will always strive to put the most talented athletes together and pair them with coach that will challenge and develop the gymnast to her full capability. Rhythmic Academy club director will have the final authority to assign gymnast to teams and coaches. If a gymnast halts or deactivates her Rhythmic Academy membership for whatever reason, her return spot on that team may not be guaranteed and will be determined according to the facts relating to each situation. Competitive gymnastics is not only a commitment on the gymnast’s part, but also a commitment on her parents. Your child’s involvement in competitive gymnastics will cost you time, money and effort. Below are some of the time and financial obligations that you will incur. The list of Tuition Fees for each level will be distributed beginning of May with the team’s summer workout schedule. Tuition Fees and workout times are subject to change from year to year. Team Tuition must be paid in full and on time. Any unpaid balance that is over 15 days overdue WILL terminate your child’s participation in any competitions, workouts or team activities. All Rhythmic Academy members are required to use automatic debit for monthly tuition. 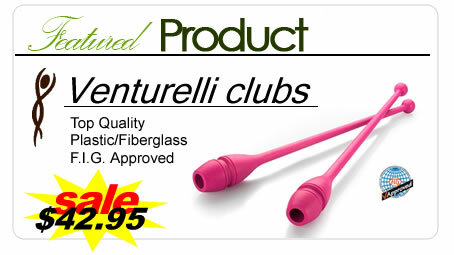 We accept Visa, Master Card, Discover Card, Amex and PayPal. Accounts will be drafted on the 3rd of each month. Special circumstances arise with EFT and will be dealt with on an individual basis. You must contact Club Director to discuss any tuition concerns. Tuition is due each month regardless of attendance. We offer only 3 make-up classes per calendar year; there are no discounts for missed practices or prorating of membership fees for any missed practices. Monthly membership dues will be charged on the 3rd of each month and continue to each month until the membership is canceled. A written notice must be submitted to management prior to the start of the new billing cycle (BEFORE THE 3RD OF THE MONTH) to stop, change, freeze or cancel the membership. If a notice of termination is received after the new billing cycle, your payment is non-refundable and your membership will continue until the end of your contracted term. Monthly tuition rates are subject to change, but you will be notified of any change in your rate with the option to cancel in accordance with these terms. Gymnast will not be able to schedule or participate in private classes with outstanding account balances, all tuition and fees must be paid in full before the start of the private class. Memberships that are reactivated from frozen or deactivated status will be billed at the most current rate structure posted on this Web site OUR CURRENT TUITION. Rhythmic Academy charges and annual club registration fee on September 1st. This fee includes the athletes annual USA Gymnastics membership card dues, a FREE subscription to USA Gymnastics magazine, the gymnast’s competition and training insurance, club activities fee, equipment replacement costs and other miscellaneous club expenses. USA Gymnastics requires all students registered and attending a USA Gymnastics chartered club and sanctioned events to have an active and current USA Gymnastics membership card. The registration fee is non-refundable and is due each year on September 1st. The registration fee will cover your gymnast’s USA Gymnastics memberships card. The National office requires these memberships every year for your athlete to compete at USAG sanctioned events. The registration fee also covers your gymnast practice insurance, club functions and equipment maintenance and replacement costs. Meet registration fees and fee deadlines will accompany your gymnast’s meet schedule for the year. Meet fees must be paid in full by the deadline for your gymnast to be entered in the competition. Be sure to pay close attention to your meet schedule so you do not miss the deadline. Meet registration fees are non-refundable after the athlete commits to a competition and no credit will be given to missed competition that result in illness, injury or any other circumstances. In addition to the meet registration fees each gymnast will incure a coaches fee for each competition. These fees will cover the coaches time warming-up and presenting the athlete to the competition floor. Coaches fees are non-refundable after the athlete commits to a competition and no credit will be given to missed competition that result in illness, injury or any other circumstances. Shared coaches travel and lodging fees will be assessed for every competition and training camp. These fees are determined by adding all of the coaches’ expenses (travel expenses, hotel costs, car rental, per diem and mileage) and then dividing that figure by the number of gymnasts that participated in that particular competition or camp. Please note that the shared coaches travel fees are non-refundable after the athlete commits to a competition and no credit will be given to missed competition that result in illness, injury or any other circumstances. Parents that are not planning to attend the competition need to make chaperone arrangements with traveling parents or a team coach for supervision, lodging, meal and travel accommodations. Rhythmic Academy requires a $35 per day chaperone fee + travel and the daily hotel lodging shared expenses paid directly to the chaperone parent/coach and a minimum of $25 per day for child food and travel expenses. PLEASE NOTE: coaches will not be allowed to share a hotel room with a an athlete. 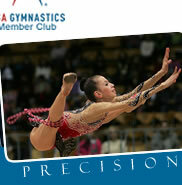 Private lessons are available to all Rhythmic Academy gymnasts outside our normal training hours. These lessons are suggested for extra work on problem areas including: flexibility, strength, skill development and extra work on routines. Feel free to discuss the possibility of privates with either your child’s coach or the club director. The private class signup sheet will be posted on the gym’s bulletin board or you can email us to schedule your class. We will offer a 10% discount on pre-purchased of 10 classes or more and competitive gymnast’s levels 3 to 10 will have priority. All fees and tuition must be up to date for gymnasts to take private lessons. Scheduled privates must be cancelled 24-hrs prior to your scheduled time or you will be held responsible for the full cost of the private class. The USA Gymnastics competition season runs from January 1st to end of June, for gymnast who qualify to the US Nationals. Beginning of July, we start working on routines for the new season. Level 7 and up will have customized routines where the coaches will work with the gymnast to select music, develop choreography and implement routine elements and handling. Levels 6 will have 1 customized routine and 3 team routines. Levels 3 to 5 will have only team routines that will be selected by the team coach. Below is the fee breakdown for each level, we recommend each gymnast schedule additional private classes to help learn and memorize the routines. The decision to join Rhythmic Academy team program is a big one and reflects a commitment to the team for an entire year. Team members do not move on and off of the team based on illness, injury, vacations, conflicts, or the like. You are either on the team or off team! There will be no prorating of team fees for any reason. Team fees are based on 48 weeks per year. There are four weeks of the year that you are not paying tuition. Rhythmic Academy will be closed for the following holidays and holiday weekends: One week in August, Thanksgiving Holiday, Christmas Holiday, New Year’s Holiday, and on Labor Day. We will post the exact off dates on September 1st of each year. **There are times when it will be required that your child attend practices during these off weeks. These will be at no charge and will take the place of special events, and day after/before competition practices. These days are at the discretion of the Team Director and the team coaches. Rhythmic Academy may not offer team workout the first scheduled practice after a State Meet, Regional or National Championship, or major invitational for the levels involved in the competition. This is to give the gymnasts and coaches (who have been away from home for the entire weekend) a day off to rest and recharge. Rhythmic Academy may also cancel or reschedule team workouts for clinics, camps, workshops, in-house competitions, special events or team outings. Each year you can expect extra practices on weeks when the gym is closed for all other activity. We offer this extra practice time at no charge. 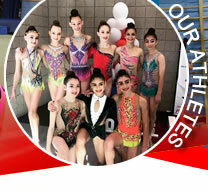 Once a year (usually in the summer), Rhythmic Academy team gymnasts are encouraged to attend a gymnastics training camp. These camps are at the discretion of the Team Director and coaches as Rhythmic Academy chooses these camps based on numerous factors most importantly, the quality of coaching and attending as a team. We have attended numerous camps over the years that have provided extensive learning and more importantly team bonding and fun! Camp information is usually out before the end of school.